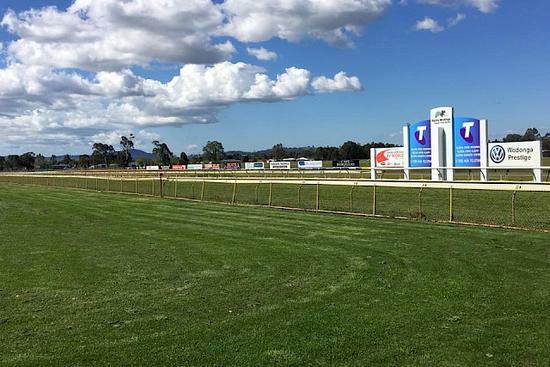 The Craig Widdison team will take two runners to Wodonga on Sunday, February 11 with clear fine conditions paving the way for racing on a good (4), with 8 events to be run. The first of the stable runners will enter in race three with Az Good Azz Ahero to be joined by Chelsea McFarlane jumping from barrier one with the three-year-old first starter on debut after a barrier trial at Albury saw the runner needing extended time after finishing 6 of 6. Craig has altered the gear for this outing by adding a Tongue Tie and Winkers first time, & has drawn to get a good run in transit. The stable prepared Northkape will compete in race five in the boss better living system BM70 handicap over 1100 m with Chelsea McFarlane aboard the five-year-old mare jumping from barrier 10. Last time out Northcape finished midfield six of 12/1000 m at Albury in a BM 70 handicap and has good early speed with a big drop in weight for this assignment, she has won once already this preparation at Ballarat and looks to have solid claims. Best of luck to all connected at Wodonga on Sunday.